Own an alpaca! Have a peacock! Rescue animals! Get a pony! Go fishin! No covenants! It’s a 24/7 resort with private pond; fenced yard; guest cottage (great VRBO opportunity); small barn; covered riding arena — all in Chapel Hill Schools on 5 acres! Convenient to I-40. Close to everything, but far from ordinary. Shaker style 2-1/2 Story wood-sided traditional home; huge Family Room; large office overlookingpond; spacious Kitchen; fabulous deck with swim spa. Circular driveway. Metal roof. Come see it! 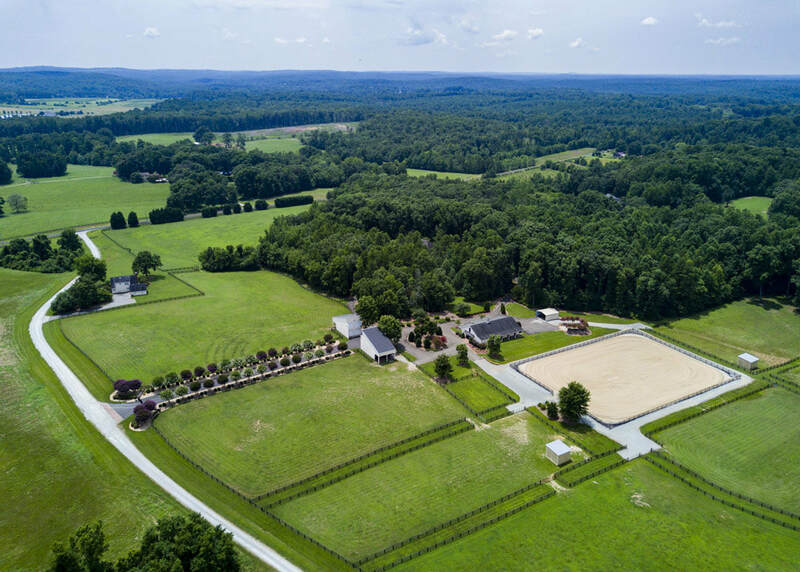 Spectacular horse farm w/all the features you've wanted! Main home w/terrace & pool, screened porch, 2-car garage & farm manager home w/2-car garage, both custom built by Leon Meyers. Separate fenced dog area. Impeccably maintained grounds w/gated entrance; asphalt paved roads. Elegant center-aisle barn; tack room w/W&D & 1/2 BA. 8 (12x12) matted stalls. Two generators. extra large riding arena; 7 pastures w/run-in sheds. Hay & chip storage. Located in Beautiful Quail Roost West w/miles of riding trails.